The Weight Watchers Community is one of the most valuable parts of the Weight Watchers program that you could use. The purpose of this program is to give you the help you require with losing weight thanks to the support that comes from so many others who are out there to lose weight just like you. The Weight Watchers Community is available to people who are in the program. It gives people access to details on everything they can participate in while on the program. This includes information on how they can use different recipes and take part in many exercises for weight loss. You can even take part in one of the many challenges that people within the community have posted. The Weight Watchers Community has a Challenges section that lists details on all various items you can do when trying to lose weight. Their is a variety of challenges created by users who want to make their weight loss goals a community effort. In fact, people are often influenced by these challenges to work harder towards losing weight. 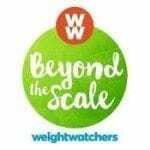 It is an exciting part of the Weight Watchers Community that makes it special. 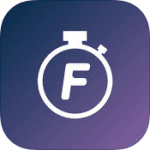 The challenges that you can find in this section relate to all kinds of different functions. These include challenges where you have to lose a certain amount of weight within a certain period of time. There are also challenges that relate to weight loss with specific foods or even certain goals like reducing your blood pressure levels or your dependence on certain medications that you might have to use if you are overweight. The challenges on this part of the site are designed to show what you could do in order to stay healthy and under control when trying to lose weight. You have to use the information listed here if you want to have some kind of success in your diet. 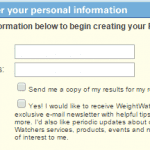 There are a number of different messages written by Weight Watchers members in the Blogs section of the site. These blogs are written by members who want to share their weight loss stories and the strategies that they have been using to try and keep their weights from being harder to bear with than they have to be. These blogs involve many interesting topics. Some of these blogs relate to stories about how to resist temptations, how to use certain exercises and even how you can use a number of recipes to keep your weight loss goals in check. A number of specialized groups are found under the “Groups” section of the Weight Watchers Community. These groups are available to those that meet certain criteria to be part of that group. This brings together a number of like-minded people who want to learn how they can lose weight in several ways. The groups include those dedicated to people who are fifty years of age or older. There are also groups of people who have certain physical ailments who want help with losing weight. Other groups are dedicated to losing weight with particular foods. These include weight loss plans that utilize fish, grilling, slow cooking and more. You can find just about any kind of food category in a group considering how the Weight Watchers diet does not have the same restrictions that often come with other procedures. The groups allow people to comment on their diets and to interact with each other about what they are doing. People can particularly exchange tips with each other with regards to how they can lose weight and keep that weight off over time. Bulletin boards are included on the Weight Watchers Community website. These boards include a variety of posts and topics relating to a variety of ways of losing weight. These include topics about how to use the best foods in a diet, how to control your eating habits and the many exercise routines that you can get into. The details that you will learn about in this part of the community are very important since they include many points that are often being used by a variety of different people who want to keep their weight under control. Sometimes it helps to have the best recipes when on a diet. Good recipes will give you more than just foods that are good for your diet. They will give you foods that you will actually look forward to eating, thus helping you to stick with your diet well after you start. The Recipe Swaps section of the Weight Watchers Community will assist you in figuring out what you should be eating so you can stay as healthy as possible. The recipes in this section are complete with a variety of different foods in mind. You can utilize the recipes ranging from appetizers to entrees to desserts. Each recipe is laid out with a series of instructions to give you an easier time with preparing the food. Each recipe is reviewed by program members as well. This will give you a better idea of seeing what you can get out of these recipes for your general dietary plans. You should see what these can do for you when finding ways to stay healthy and to keep your diet under control. You have to be aware of what will come with these features on the Weight Watchers Community site. These are available to Weight Watchers members as a means of giving people the assistance and community support that they would like to use so they can lose weight. You should see how this program is designed to give you the most out of whatever you want to do with your diet in general.